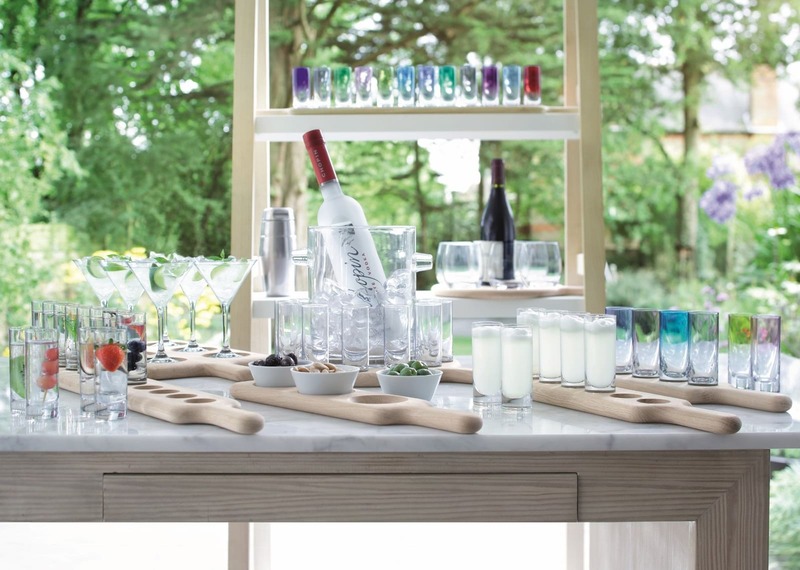 The Vodka Serving Set and Oak Paddle 38.5 cm by LSA international is a party centerpiece! 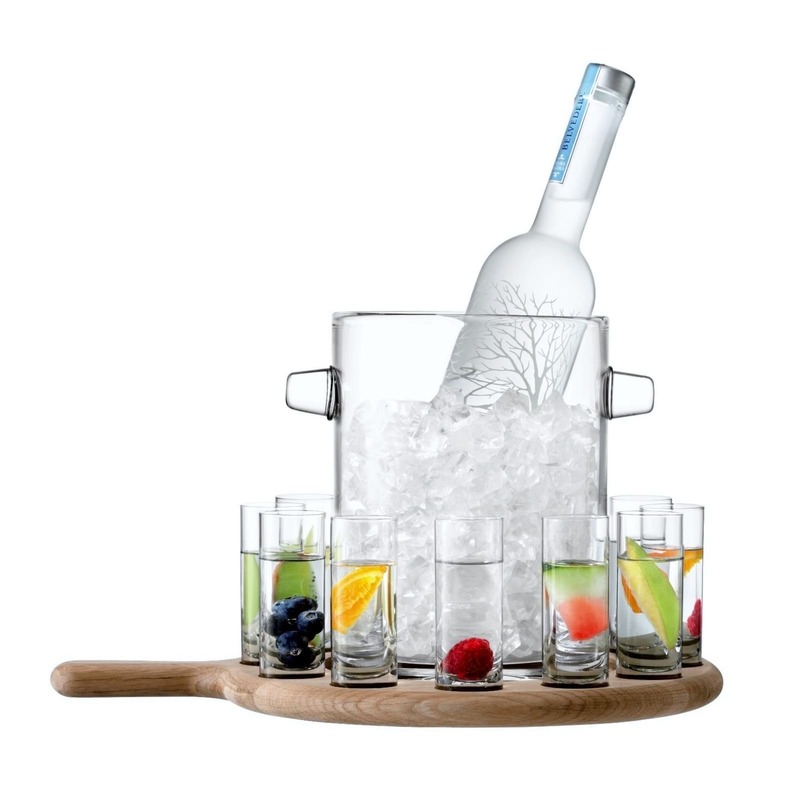 Includes a handmade glass ice bucket, twelve vodka glasses and one solid oak serving board. 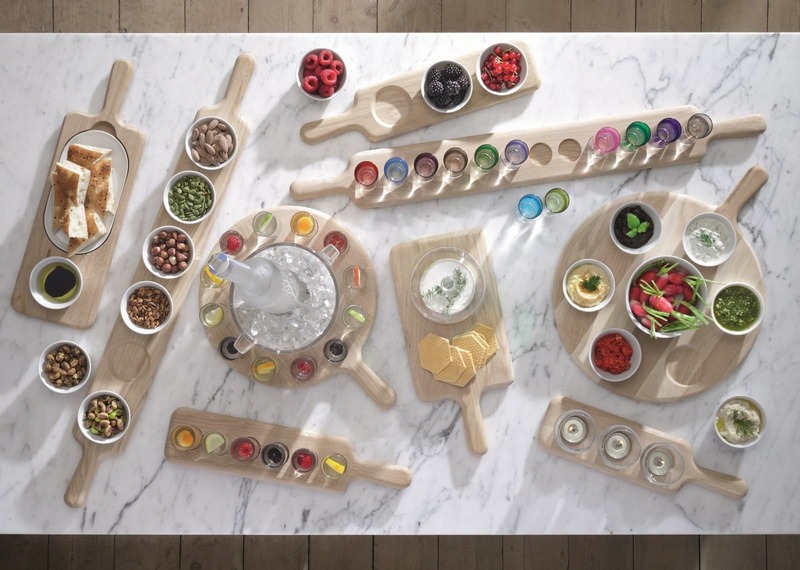 Made from sustainably sourced beech, the wooden board creates a contemporary feel while arranging the drinkware for serving. 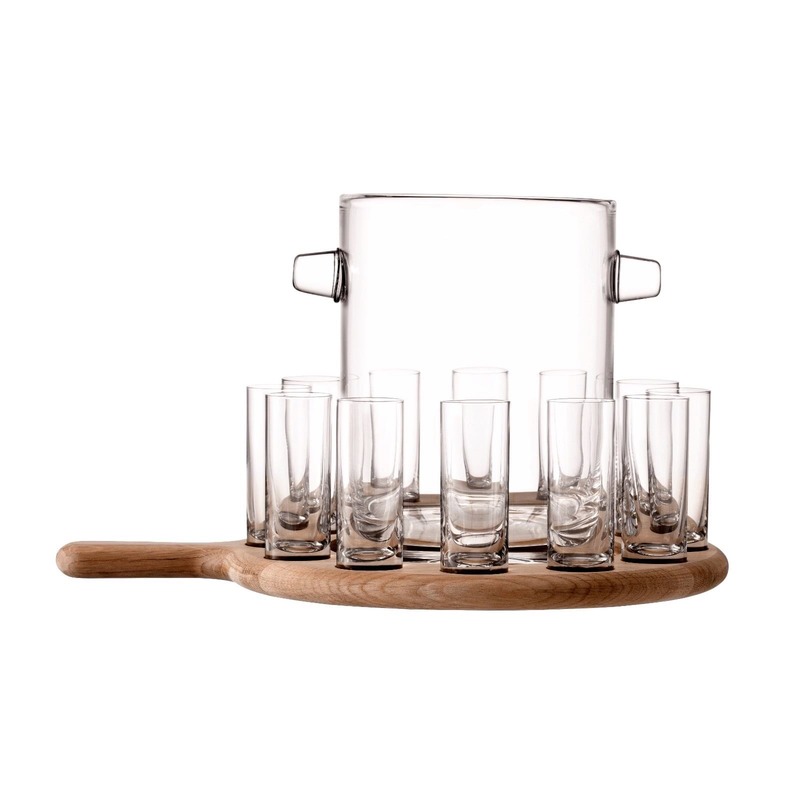 This distinctive Vodka Serving Set is inspired by mountain bars in the Tirol, where shots of home-brewed schnapps are offered from person to person on specially-crafted wooden trays. 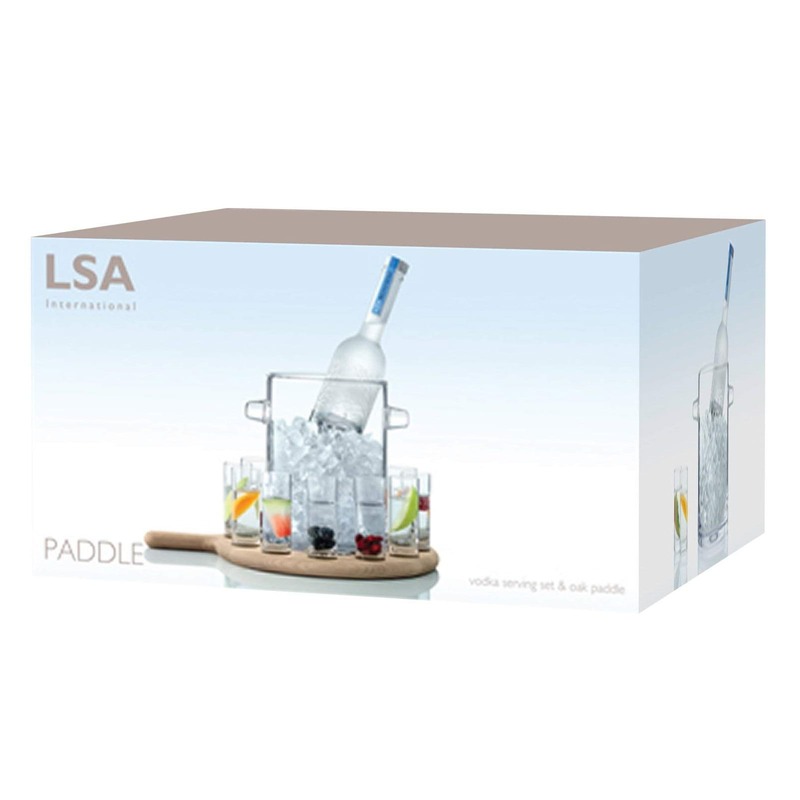 The elegant vodka glasses and the glass ice bucket are securely nestled in the solid the wooden board for distinctive presentation. 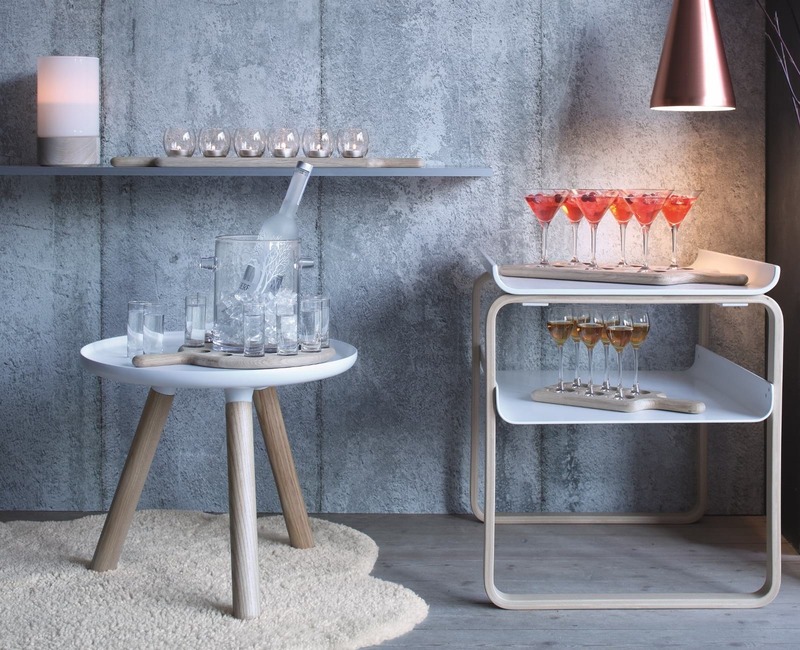 Material: Mouth blown glass & Oak wood. Tray: Diameter 29 cm, Length 38,5 cm. Ice Bucket Diameter 17 cm, Height 22,5 cm. 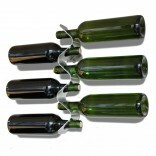 Glasses: 12 piece included 70 ml capacity.